When I told people I was coming to Cuba, most who had visited warned me about the terrible food I would eat. 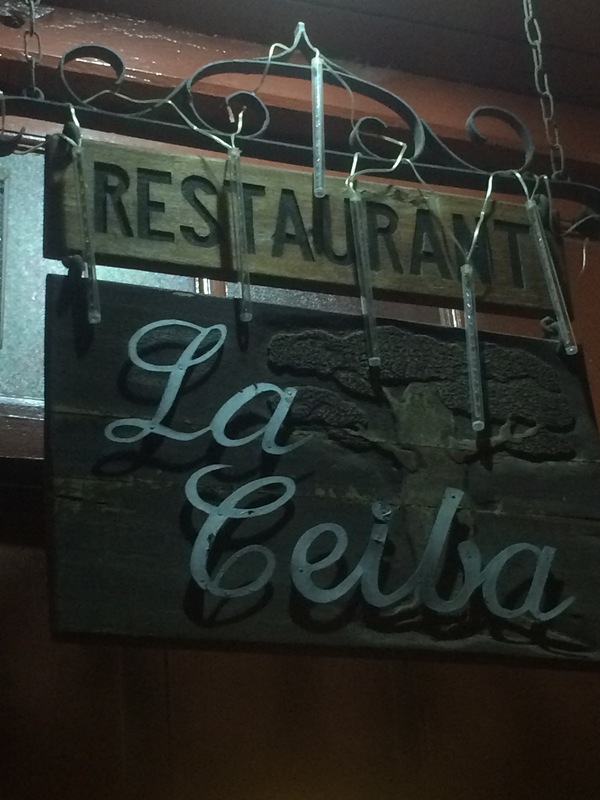 But dining out in Cuba, I was pleasantly surprised at the choice and quality of meals offer. The best ones that locals and guidebooks recommended were sometimes off the beaten track, yet it was worth the effort reaching them. Previously the state ran all cafes and restaurants, which varied greatly in terms of quality. Chefs here often work in wonderful historic institutions in beautiful settings, but I was warned they can lack any imagination when it comes to how they use ingredients. The government still runs many eating establishments, but since the 1990s visitors have also been able to dine at privately run paladors. In recent years new laws have relaxed restrictions limiting the number of seats in private members to 12 and allowing staff to be employed that aren’t family members. And since 2011 businesses have been able to sell a much wider range of foods to satisfy tourists’ palates. I was warned that some paladors are also dire places serving bland food, but I experienced some excellent meals across the island. Yes, they often still serve the meat, beans and rice combo that is staple food for many in Cuba, yet this dish shouldn’t be completely dismissed because I had some really flavoursome meals. The paladors have typically grown out of their owner’s homes. In Trinidad I had a tasty chicken grilled dish seasoned with spices (friends had lobster) at La Ceiba and needed to walk through the restauranteur’s living room to reach the dining area out the back. What started as an establishment with four tables has spilled over to the backyard of neighbours’ homes. But the culinary highlight for me had to be eating dinner at an ecological farm on the outskirts of Vinales. I was told the food would be the best I would eat during my time in Cuba (which it was), yet some dishes – like a vegetable soup and a tasty lamb casserole – deserve a rosette on the world stage. All the produce was grown or reared on the vast estate surrounding an open bungalow and terrace where the owners live – it wouldn’t be possible to have less food miles. The friendly family brought out dish after dish of everything from fresh salads and vegetables to chicken and fish. As if I wasn’t full enough, they brought some creme caramel and vanilla custard, before things were rounded off with strong coffee (made with beans grown and roasted on- site). The market for tourist accommodation is also changing fast. While in the past visitors had little choice but to stay in state run hotels, there is now the option to choose private run guest houses (known as casa particulares) that typically let out no more than two or three rooms. Staying in one of these, you can feel like you are a guest in the owner’s home. They share the same lounge as you – and daily life for them revolves around the same kitchen where you have your breakfast. It is a way of getting you much closer to the locals. 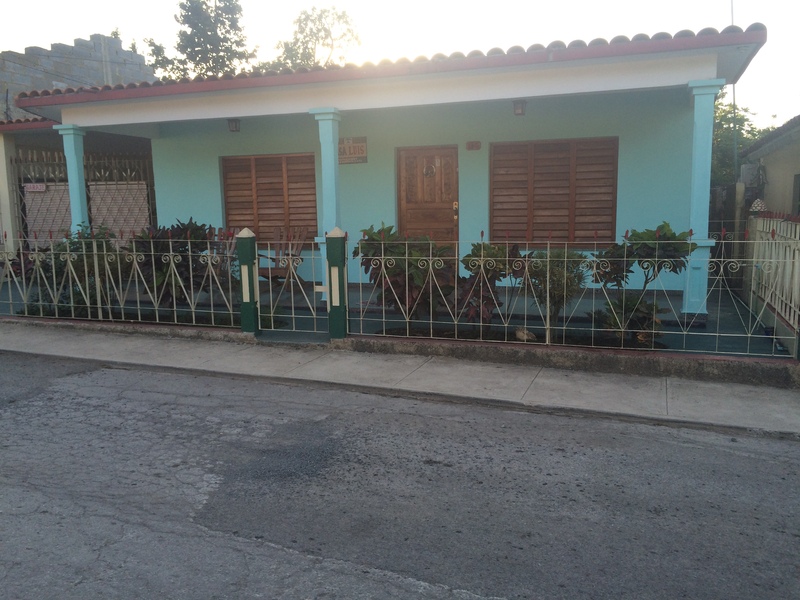 I stayed in several casas during my trip to Cuba, including ones in Trinidad and Vinales. And for the price you pay the standards are much better than you would get in a cheap hotel. The hosts (who spoke some English) went out of their way to help with directions and served excellent breakfasts, including tasty omelettes, pancakes and mini toasted sandwiches. Casas are places of hustle and bustle. Family members pop in for a coffee or help out with the cooking. The proprietor stops traders selling bread and fruit as they pass. In one I was even given a salsa lesson in the courtyard out the back. 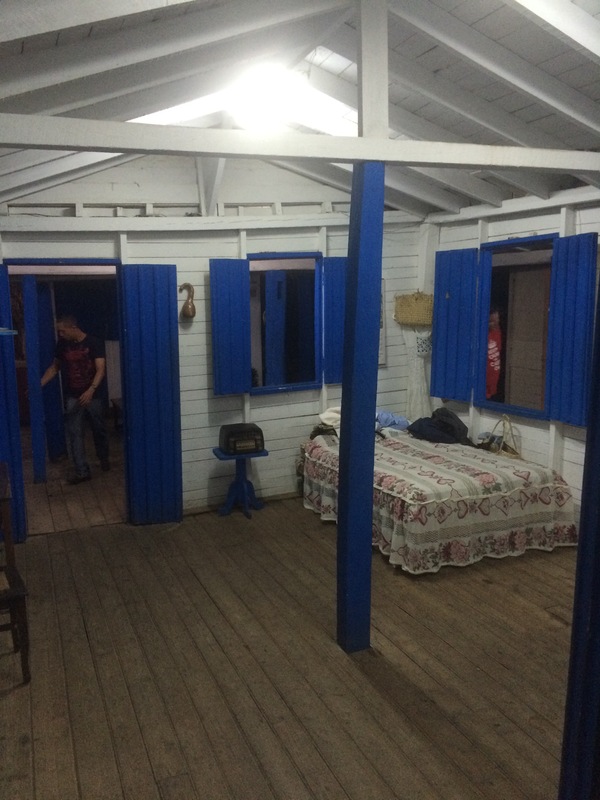 Staying in these was like going back in time to my grandparents’ house with dated furniture and electrical items that had clearly been patched up several times (Cubans love repairing things given the embargoes in place limiting access to such goods). But most importantly the casas I stayed in were clean. Casa owners recognise that running such businesses – which gives them access to internationally traded currency – is a way of bettering their lives. Without being pushy, the proprietors told me about the extra services they could offer, such as washing and serving cool beers from the fridge. Many casas are now reviewed on sites like Tripadvisor so you can make comparisons between different establishments. And they are joining together into small networks, helping each other with bookings across a town. For Cubans, initiatives launched in recent years will have come across as particularly novel. There have, for example, been experiments where taxis are leased and – once hire charges and fuel payments have been made – drivers get to keep all fares, providing an incentive to work harder. Others, like those running barbers’ shops and beauty parlours, have for the first time chosen their own pricing model. Charging what the market can bear is a new concept for many, but hopefully the idea of supply and demand will improve standards. This move to privatisation has been particularly beneficial for those working in the agricultural sector, where local people have been allowed to benefit from farming much larger swathes of land. In the last few years, the state has also started to sub-contract services to the private sector, with those providing haulage and landscaping being considerable beneficiaries. Inevitably, with change, there are some that are not happy with the new way of working. Some believe that switching to self-employed status means they need to put in more hours to pay leases / taxes required to make a comfortable living. And for visitors, the move to entrepreneurialism in Cuba has brought some drawbacks. The arrival of tourists has provided tricksters with the motive to make a quick buck through scams, such as saying that a particular casa has closed and then demanding commission for taking guests to another. But these sorts of problems exist in all tourist cities all around the world. For the most part the reforms have been good for both tourists in terms of higher standards through entrepreneurs seeing how their businesses can grow by providing a better service – and for helping Cubans build better lives for themselves. Tomorrow: How Cuba controls the minds of its people, or does it?